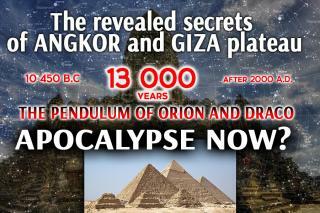 Pyramids: the mystery that may be finally unravelled! 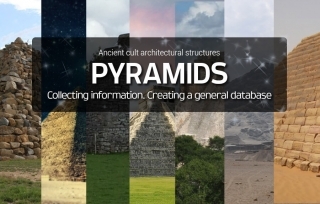 I suspected that once I start digging out information on pyramids my attention would plunge and sink in megatons of research data, as well as versions, assumptions and fantasies. It took me only a week to find relevant materials on the web, as distinct from heroic scientists who are racking their brains over this mystery for years and even decades. 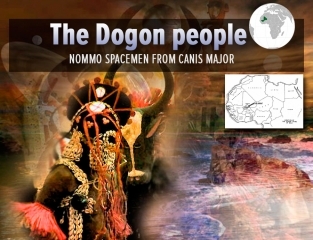 I’m gladly giving a link to a forum where plenty of information is accumulated, with sincere gratitude for the effort of those interested people. 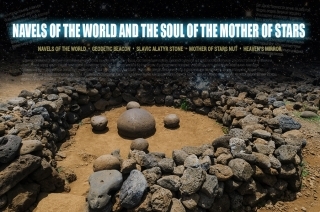 While trying to unravel the millennia-old mystery of the man-made stone structures, inquisitive minds invented numerous concepts and ideas, and the regrettable outcome of their failure to unravel the secret, in my opinion, is another evidence that our civilization, moving along the way of consumer development and relying on the “visible matter”, has lost its main treasure – the knowledge which our remote ancestors (who were not as wild as somebody endeavours to persuade us) used to possess. Finally, it proves once again that humanity is moving towards its inevitable decline. I am fond of stars, and you? I wouldn’t be mistaken if I say everyone drew a star at least once in their lifetime. Of course, it’s more characteristic for children who draw spaceships flying towards stars or the night sky with stars and the moon; draw a Christmas tree with a star on its top, or their grandfather who passed the war with a star on his chest. Numerous examples can be made of how stars are depicted in children’s art. And adults, I think, draw stars from time to time, why not? 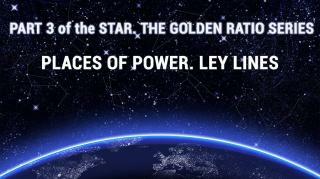 In this part of the Star. 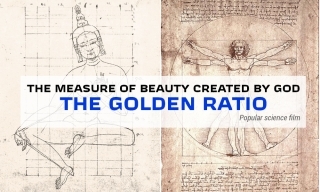 The Golden Ratio I will touch upon such “pseudoscientific” research area as ley lines. Why is it pseudoscientific? 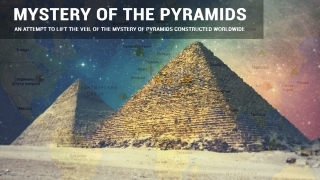 Because, according to official science, pyramids, for instance, are mere sepulchres constructed within several decades by slaves who were carrying those large-tonnage blocks like “Barge Haulers on the Volga”, and nothing more. They don’t admit any special pattern in location of the sepulchres. 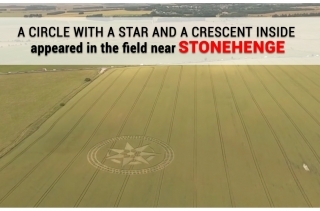 I remember when our teacher was telling us about the pyramids at history classes, surely expounding the official version, he smiled, apparently not believing in what he himself was telling. Almost a quarter of a century has passed since then, while things haven't got forward an inch as they say. 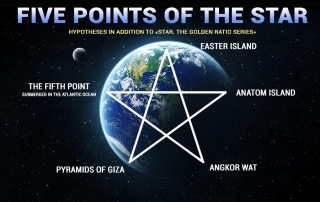 The so-called official science keeps turning a blind eye to facts regarding the pyramids and other cult buildings. 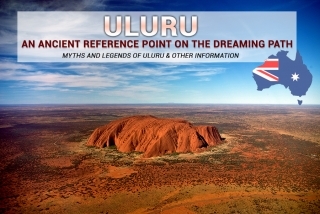 This research is dedicated to the mysterious mountain of Uluru (Ayers Rock) in Australia. Besides the remarkable beauty, this place is full of unsolved riddles. The sacred mountain Uluru is a unique sandstone rock formation the origin of which is still disputable, a huge monolith lonely dominating the desert for tens of kilometres. Manifestly standing out against the background of the surrounding scenery, it is visible not only from the ground, but from space as well. Moreover, it is not a mere rock, but a summit of a giant stone “iceberg” going deep down into the earth. It can outlast any cataclysms, and even a direct fall of a large asteroid cannot move it from its place. 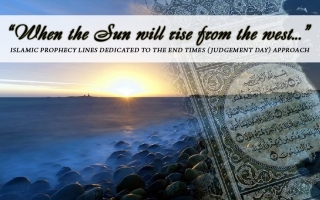 Probably, many people heard that in Islamic predictions of the approach of the Doomsday, Judgement Day or End Times (read more on our website) there is a strange phrase: “When the Sun will rise from the west.” How should this be understood? 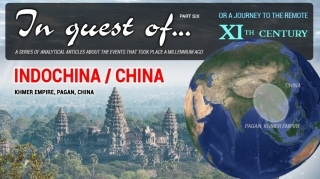 Is such a disaster on Earth really possible when the east and the west will interchange? Or is something else meant? 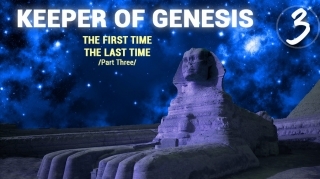 In the closing part of one of our earlier articles Keeper of Genesis, Part III. The First Time. The Last Time we encounter an unexpected interpretation of this incomprehensible phenomenon. 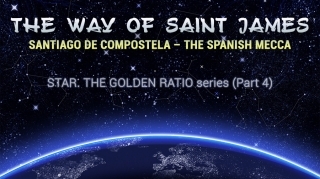 Here we continue our prophecy search that is very important both for the sake of compliance with our initial goal stated in the Preamble and due to awareness that many people come to the Primordial Knowledge “through consciousness”. 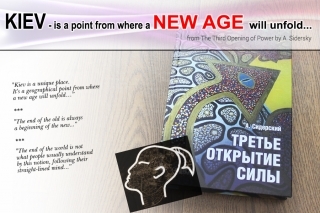 In this context, let me draw your attention to the book entitled The Third Opening of Power by the Ukrainian author Andrew Sidersky. The book is very popular among those who actively practise yoga and has undergone as many as nine editions. We won’t dwell neither on philosophy and world views expressed by the main characters in their dialogues, nor on peculiarities of training and psycho-energy techniques discussed. 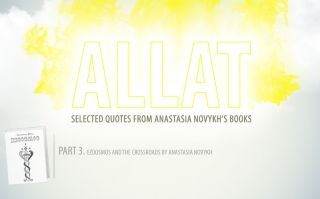 Though the author positions his book as fiction, anyone who has certain knowledge in this field can still figure out not all the information there is fictional, but rather represents “interpretations” of what the author heard, pondered over, experienced, and realized himself (by the way, this is indicated in one of prefaces). Our ship keeps moving forward. 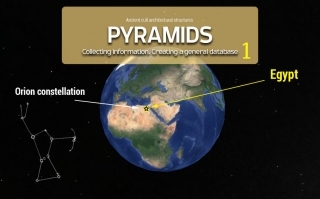 There is an interesting suggestion to collect information on ancient cult structures, in particular on pyramids located on different continents and islands of the Earth. 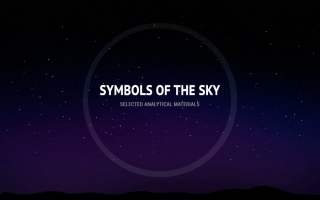 Perhaps, by means of such a database we or our followers will manage to unravel the riddle of the star map repeatedly mentioned in Sensei of Shambala – Book IV. This is an open door club – everyone who desires is welcome to join. Very often we can hear a standard phrase said by different people: “In our age of high technology…” Well, we do live in the age of high technology, and the latter becomes further more advanced. This is how our civilization is developing. We are surrounded with technologies and have plenty of appliances in our houses and apartments, intended to facilitate our existence on this planet and make it more comfortable, although existence remains mere existence, no matter whether you run about with a stick in your hand or a cell phone in your pocket. 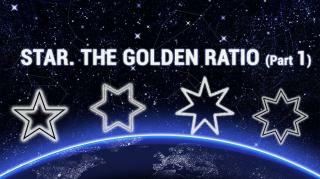 This is an addition to the article Pyramids of the world: Part 1. Egypt. 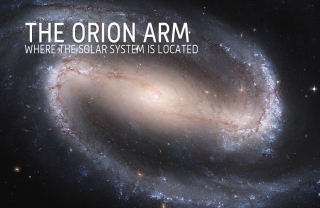 The Orion constellation, regarding the “star map”. The extraordinary Wikiwand, full of interesting information, has pleased with the Lepsius list of pyramids. 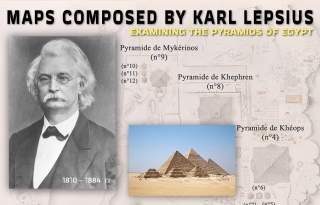 Karl Lepsius was a prominent Prussian archaeologist who visited Egypt in 1842 and composed a list of all the monuments of ancient architecture that he saw on his trip. Below there are maps drawn by Lepsius where relevant Egyptian pyramids are marked, and here is the list itself with information on the pyramids: https://www.wikiwand.com/en/Lepsius_list_of_pyramids. “Is that all so serious?” Nikolai Andreevich asked thoughtfully. 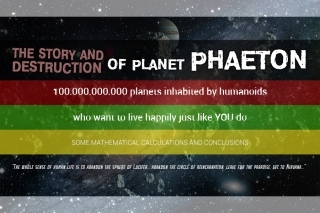 “Yet, what happened on Phaeton?” Kostya asked with interest. For some reason, our Philosopher hastily started to calculate, moreover he did it aloud. It is not fashionable nowadays to scrutinize stars and endeavour to comprehend the laws of heavenly mechanics. Unfortunately, we are too preoccupied with the issues of survival, news in social media and endless shopping. 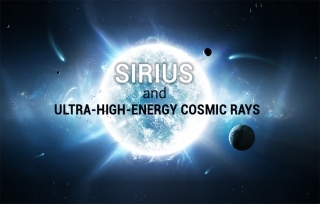 Very few people have an idea of what is going on above our heads and understand that high above there are the Sun, the Moon, planets, asteroids and comets, stars and galaxies. Everything rushes somewhere at enormous speeds and distances. How can a human being grasp the nature and reasons of all that? 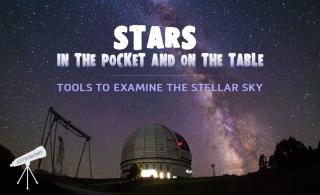 Well, one can read a book on astronomy, but what benefit would such knowledge bring, he or she thinks? Hence, with a clear conscience the person immerses one’s attention back into the virtual reality of “new” earthly technologies. 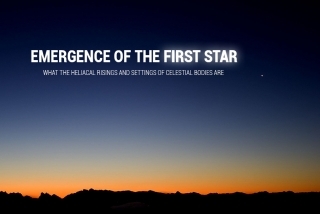 Perhaps, many have heard an expression “with the first (or last) star”, but very few people know whether this expression has any deeper meaning. 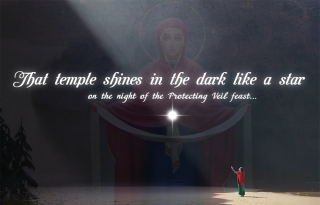 To be more precise, the very fact of emergence or disappearance of celestial bodies, stars or constellations from the field of vision in the evening or morning sky represents no riddle. 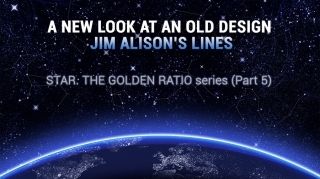 By the laws of celestial mechanics, everything is in perpetual motion and appears before our eyes as an indisputably cyclic change of stellar sceneries. 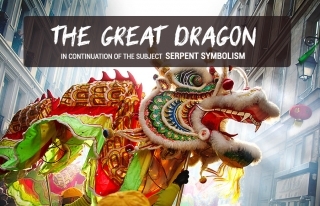 However, in this article I will present several arguments evidencing that in ancient times this implied something more serious, and it related to neither superstitions nor religious traditions, but to something totally different. 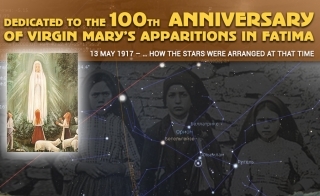 The first argument is the article Dedicated to the 100th anniversary of Virgin Mary’s apparitions in Fatima which told about the heliacal setting of the three stars of Orion’s belt. At that point not many readers grasped what was actually discussed. I have to admit even today I have only a hazy notion of the importance of such events, although nothing prevents me from expanding my mental outlook and knowledge in this field.